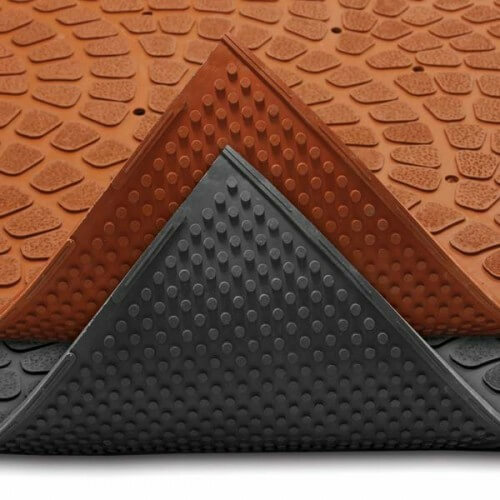 Grip True® is a 3/8" thick lightweight anti-fatigue mat with an aggressive top service for outstanding traction in wet or greasy areas. 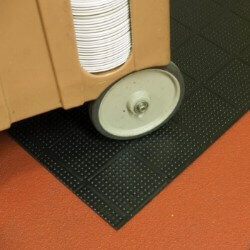 Available in general purpose (Black) and heavy-duty (Red) rubber compounds for varying degrees of grease and oil protection, Grip True® has a unique sure traction design with gripper treads on the underside keeping the mat firmly in place. 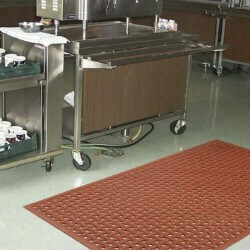 Its' lightweight design makes it a perfect choice for applications where the mat is routinely moved for cleaning, and its' low-profile allows for cart traffic. 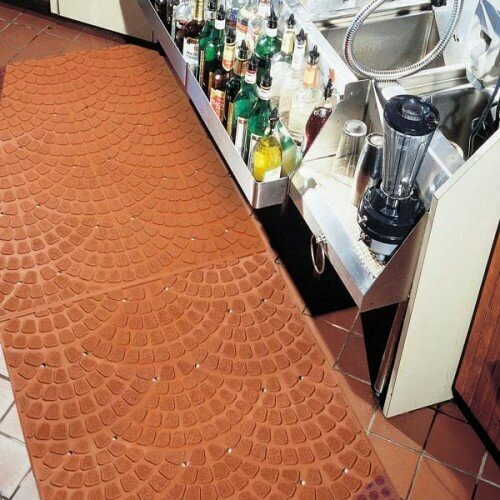 A drainage system facilitates the removal of liquids and debris from the work area further adding to the anti-slip properties of the mat. Production time: 3 to 5 business days. 1. Available in general purpose (Black) and heavy-duty (Red) rubber compounds for varying degrees of grease and oil protection. 2. Unique aggressive rubber surface for the ultimate in sure footing. 3. 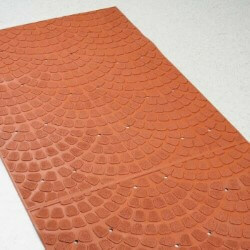 Sure traction design keeps mat firmly in place. 4. Drainage system for use in wet areas. Application Requirements: Drainage, anti-slip, comfort, some exposure to grease, oil and water, cart traffic, withstands cold temperatures.